The coastal cutthroat trout fishing season runs from November to April in the Lower Fraser River and its tributaries, but the best period is in early spring. In March and April, cutthroat trout will be feeding aggressively on juvenile salmon and insects. 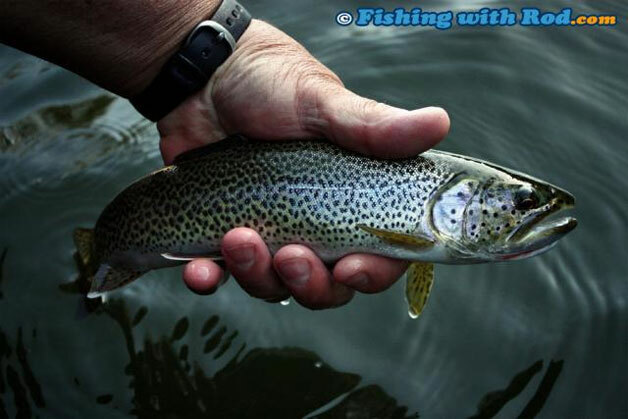 It is an exciting time to be targeting them with a fly fishing rod and there are several main fly patterns that you should be familiar with if you want to be successful in this fishery. Sea-Run Fly and Tackle in Coquitlam will be hosting a fly tying class specifically for the coastal cutthroat trout fishery. During this class, participants will tie five of the most productive cutthroat trout flies. The class will also focus on the time of the year, location and techniques used to catch cutthroat trout. This class runs from 6:00pm to 9:00pm on Friday March 9th. The cost is $35.00 plus applicable taxes. If you are interested, please phone 604-931-5044 or email the store.